Do you know what this means??? 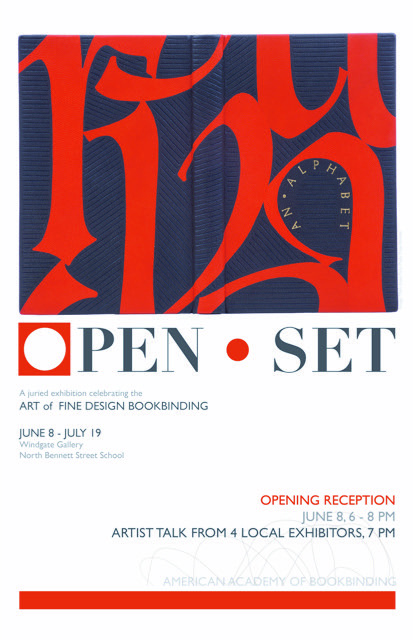 Only the best thing ever to happen to American contemporary art bookbinders! Every year, the Nobel Museum has a bookbinding exhibition open only to members of the Swedish Bookbinders Guild and binders from the country of origin/residence of the Nobel Prize for Literature winner. The only time it was open to binders worldwide was when Thömas Tranströmer, a Swede, won in 2011. No Toni Morrison because the bookbinding thing didn’t start until 2005 with Harold Pinter. I happen to have one of the Tranströmer bindings for sale. Sonya Sheats’ binding is one of only 10 that received an honorable mention (no 1st, 2nd, 3rd, just 10 singled out) of 78 bindings accepted. Tranströmer, Tomas. Madrigal. Translated from Swedish by Robin Fulton. Original linocuts by Birgit Alm-Pons. Illustrated by Birgit Alms-Pons. Vernon (France), 2010. Copy 13/50 signed by both author and illustrator. $5500. Quarter leather spine in calf. Text block sewn onto green watersnake bands. Wood boards in birch veneer with zebrawood inlays and acrylic paint, zebrawood doublures, Silsuede flyleaves. Housed in a custom slipcase covered in Birch veneer stamped with a black point at the tail. Bound in 2012. 17.5 x 23 cm.